Hey hey! 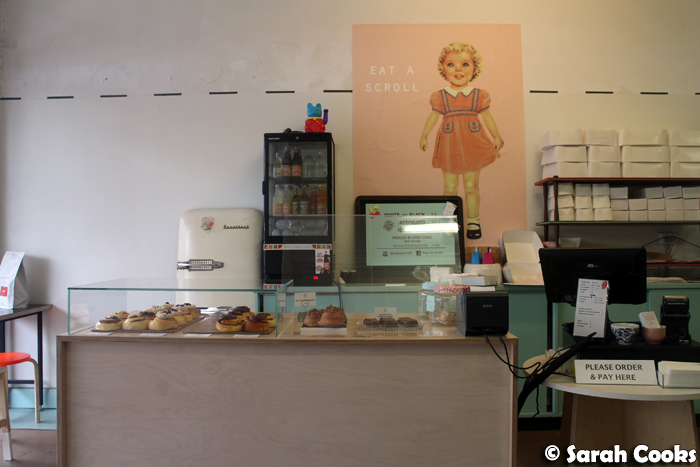 So today we felt like a little sweet treat for brunch, and decided to visit Pop-Up Scroll on Smith Street. 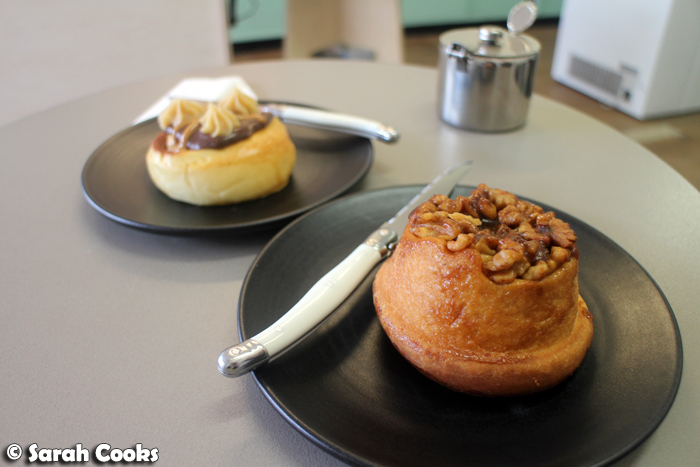 They're a pop-up cafe-slash-bakery, specialising in freshly baked scrolls. (Although on the day of our visit, they had some brownies and biscuits on offer too!) Their pretty scrolls have been all over my Instagram feed, and I was keen to try them out! I find it interesting that scrolls have become fashionable again - when I was little, I used to love the Saint Cinnamon chain, and any time we'd visit a shopping centre I'd stare, mesmerised, at the staff making the rolls. (Those huge sheets of dough! All that butter! All that cinnamon! All that sugar!) But they faded in popularity and seem to have all closed down in Australia. And my dad's a big fan of those old-fashioned coffee scrolls from old-fashioned Ferguson Plarre - the antithesis of a pop-up cafe on Smith Street! As the name implies, Pop-Up Scroll is a temporary pop-up, and according to their website they'll be moving to more permanent digs soon. 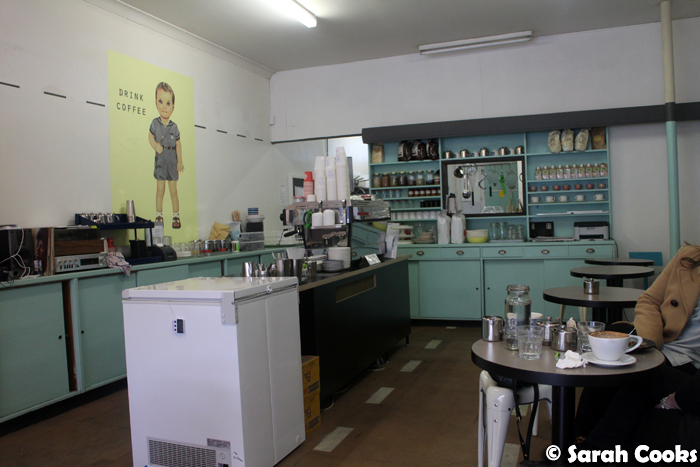 I still thought the current venue was cute, and I loved the retro vibe and pastel coloured cupboards. (The retro-ness only extends to the decor and the scrolls themselves. 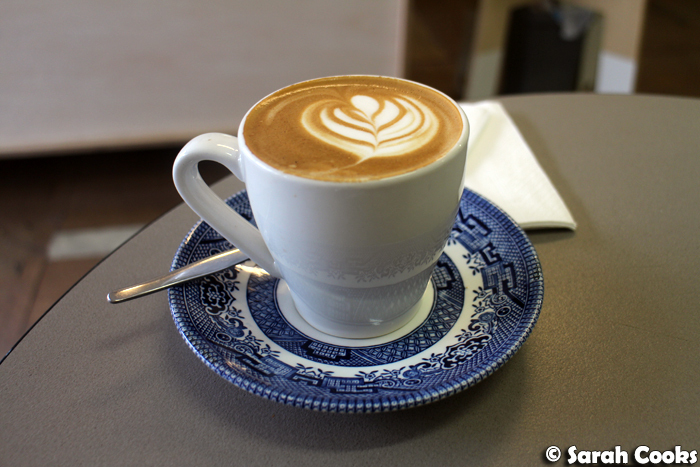 The cafe is very current - they sell coconut water, do magics, and have coconut milk on offer for their coffees). 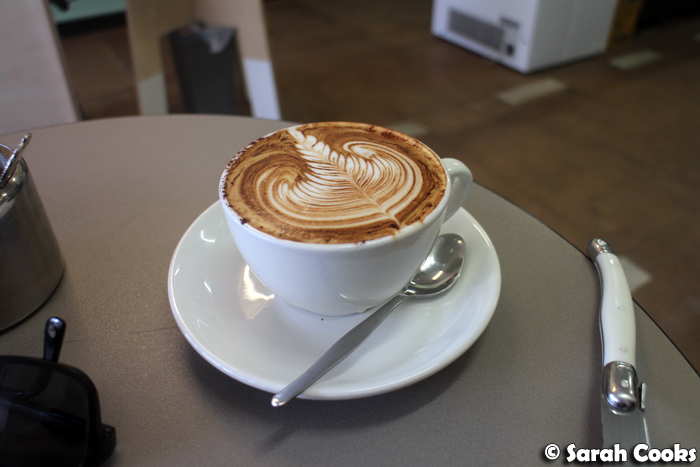 Our coffees were very good. We got a walnut and caramel scroll (with pieces of apple in there), and a Snickers scroll. 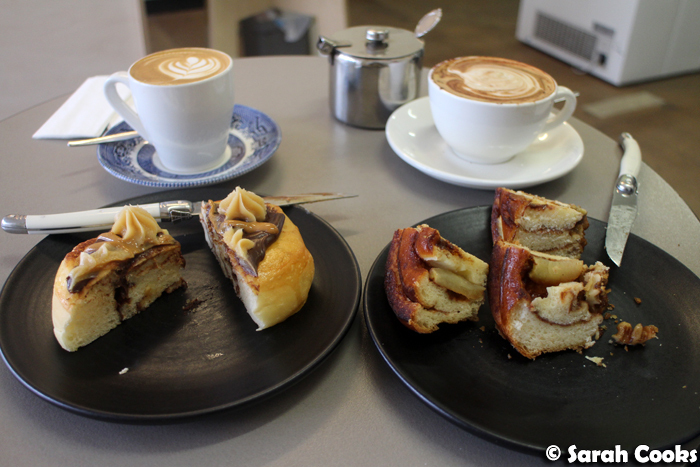 Both were delicious - super fluffy brioche dough, and a good balance between topping and brioche. I personally preferred the walnut and caramel, because I love the crunchy texture contrast. (I think the Snickers would have been even nicer with some crunchy peanuts, rather than just the sweet sauces on the brioche). Pop-Up Scroll is a cute little place, and the scrolls were really nice. I'm looking forward to visiting them again! Have you visited? Do you have a favourite flavour? Were you ever obsessed with Saint Cinnamon?